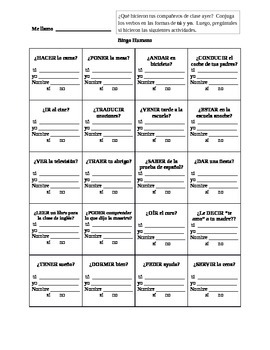 To use this activity, first ask the students to conjugate each verb in the tú and yo forms. Then they will walk around the room asking their classmates the questions and indicate whether each person did the activity or not. Example: Miguel, ¿trajiste tu abrigo? 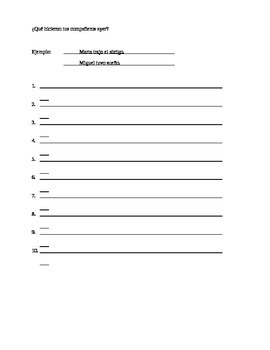 The students should try to ask each question on the sheet in the time allotted. As a homework assignment, you can have the students report back on what their classmates did (or didn't) do. For this party of the activity they will use the él/ella form of the verb.